Did you know the design of your postcard can affect the postage rate? 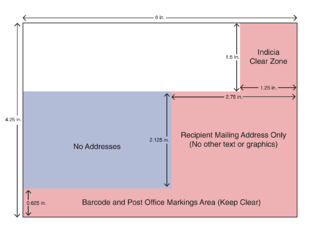 The USPS has specific guidelines for postcard mailing, from the size of the card itself, to where certain printed elements are placed on the postcard. In order to make sure you receive the cheapest postage rate available, it's important to pay attention to these rules. Download our FREE InDesign postcard templates to make sure you get the best postage rate on your next bulk mailing.